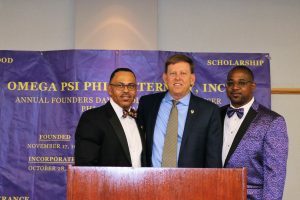 PLEA has committed to join with the Omega Psi Phi fraternity to work towards furthering better communication and understanding between police and the communities we serve. A partnership known as Cops and Que’s was recently formed where Omega men and rank and file police labor leaders have been coming together to meet regularly to build the framework for a program of partnership and joint community outreach that, when formalized, can be duplicated. 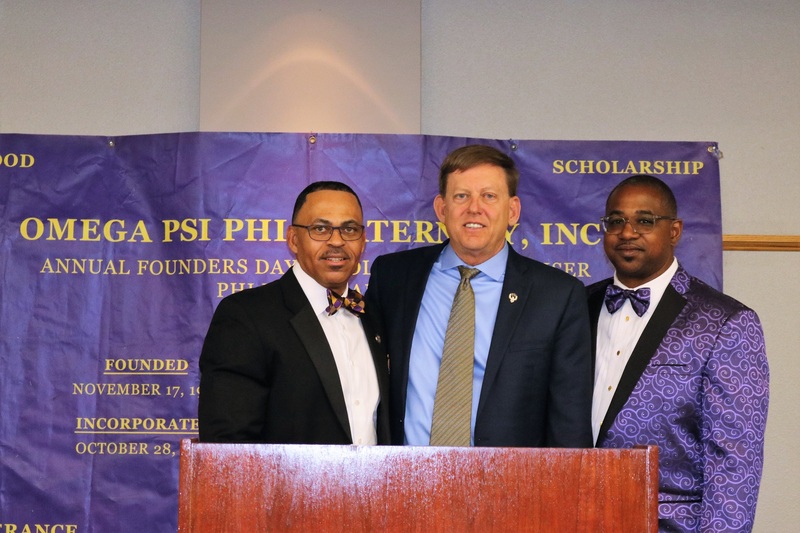 In the furtherance of the newly formed Cops and Que’s partnership, PLEA was honored to attend The Omega Psi Phi Annual Founders Day Banquet held at the Mesa Civic Center on Saturday November 17, 2018. Several representatives from law enforcement were in attendance at the event to include Ken Crane (PLEA), Britt London (PLEA), Yvette Bro (PLEA), Chad Drexler (Avondale POA), Dr. Levi Bolton (PLEA/Ret. PPD), Joe Clure (Ret. PPD and APA exec. director), and Fred Bamonte (Mesa POA). PLEA President Ken Crane had the honor of being the keynote speaker for the event. 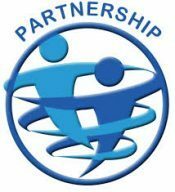 It was an honor for all of us to be a part of this momentous occasion in the furtherance of this very important partnership.